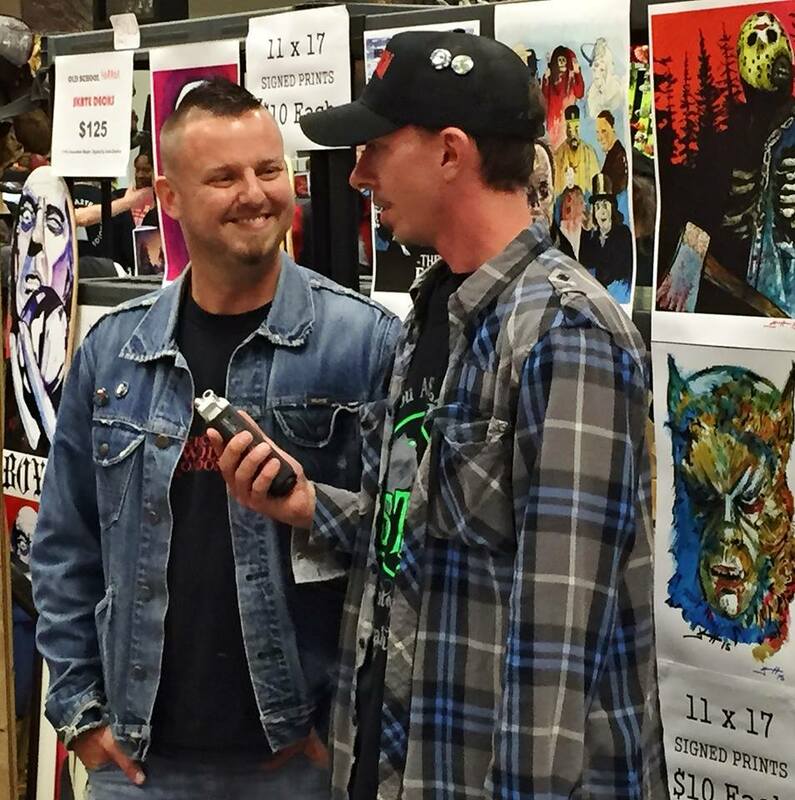 Walking through the convention halls at Days of the Dead Indianapolis, I encountered many booths and a few artists. This guy stood out to me. He wasn’t just trying to sell me his prints. No, we had a conversation about horror movies, as a cosplayer walks up dressed as Herbert West from Re-Animator. 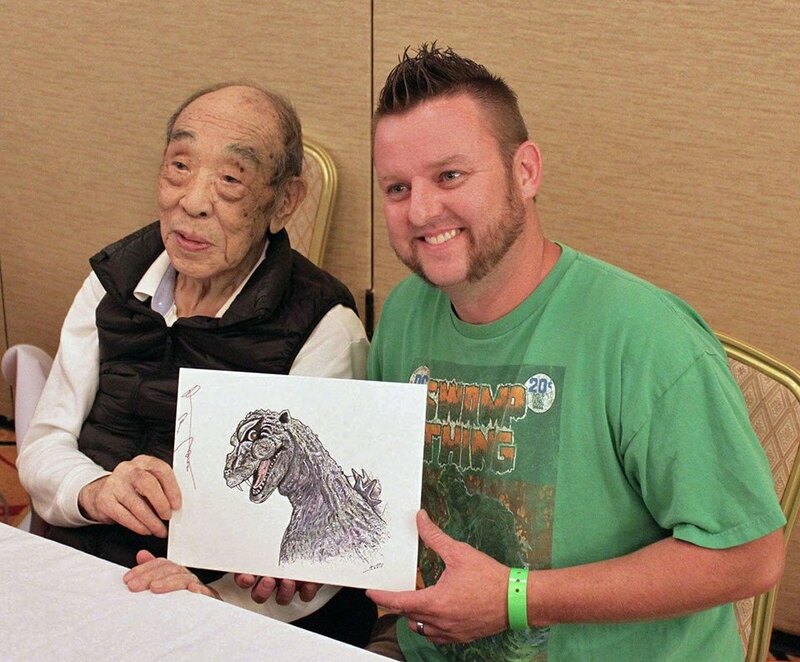 He was working on a Godzilla piece during the convention and he showed me a little of his process. 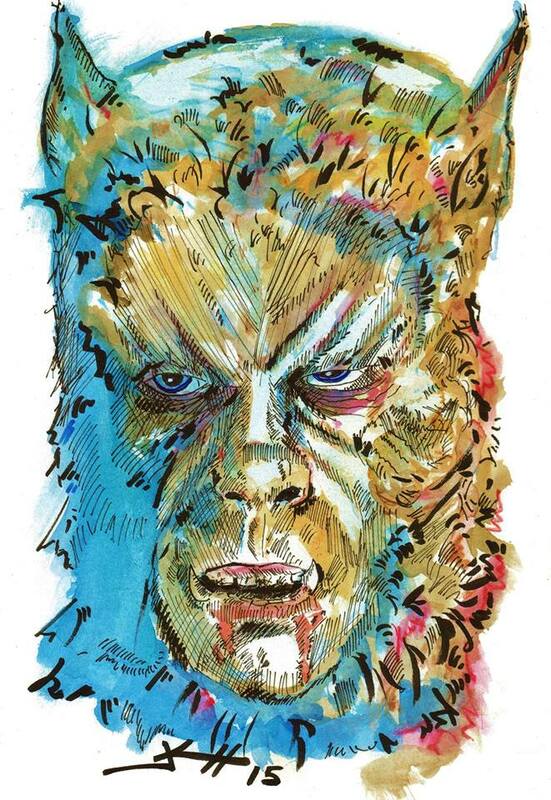 Jack Chattox was very engaging as a person, but I was drawn to his art work. 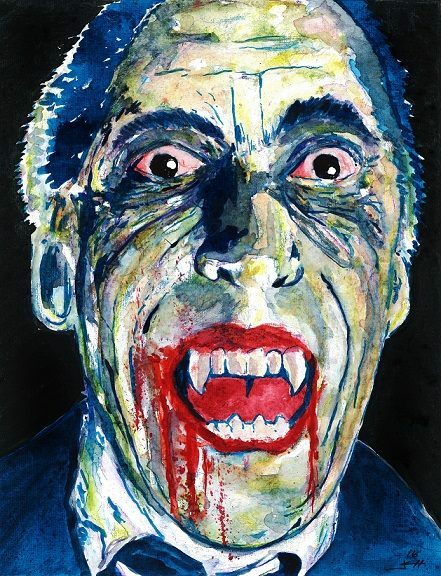 There is a great Christopher Lee painting of his I bought the print of, and a few more of course. 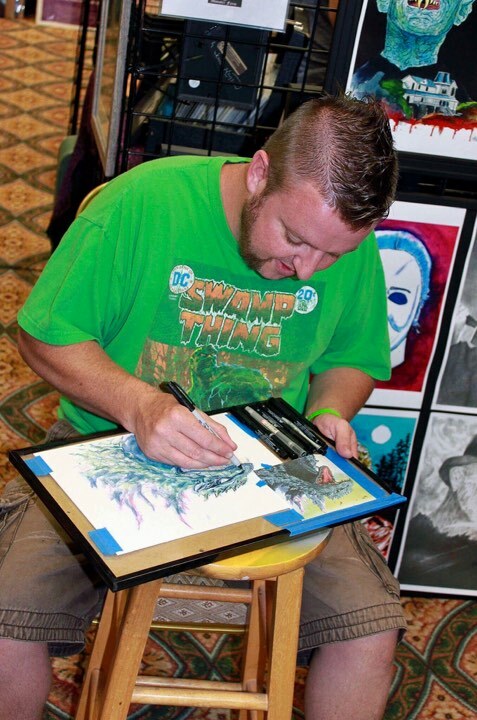 So, here is a little interview to get to know Jack Chattox and see some of his work. 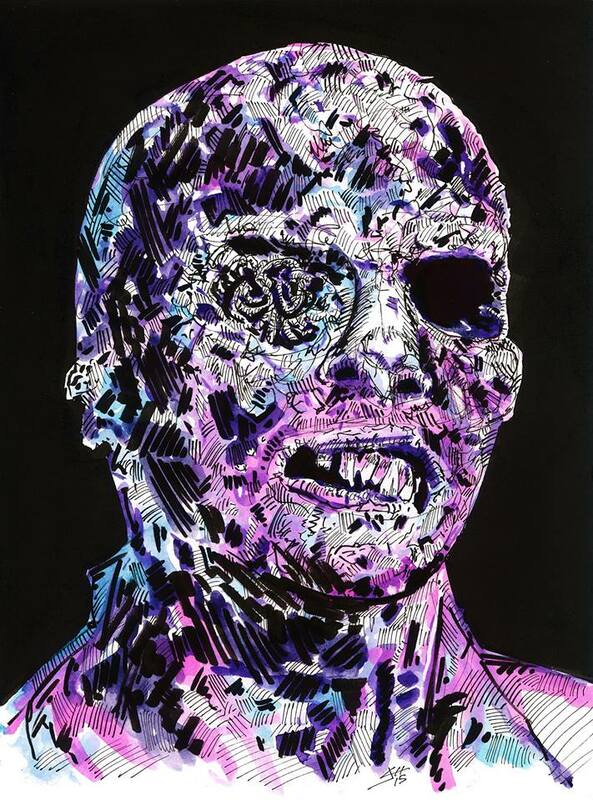 The Horror Syndicate: What inspired you to get into painting horror icons? 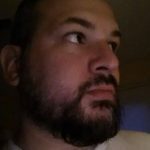 Jack Chattox: In art school I was trained to be a “fine artist” and when I graduated several years ago my focus was on large scale, contemporary oil/acrylic abstract paintings that emphasized color theory concepts. After several years of doing these I became bored and decided to shift my attention to creating things that I enjoy. 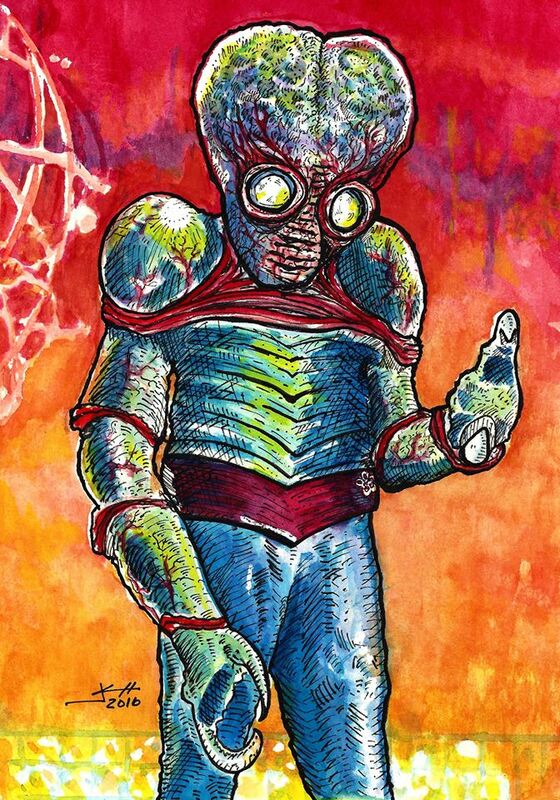 So I started painting movie Monster portraits on a smaller scale and have found success. My main focus is on color and I think that shows in my work. THS: What materials do you use and what is the process? JC: Once I choose my subject, I start by gathering as much reference material as I can, like movie stills, posters, lobby cards, etc. Next I sketch the composition or figure on hot press illustration board using watercolor pencils. I like to switch the colors up rapidly so that when I begin using the watercolor paints, the watercolor pencils will seamlessly bleed into the paint creating new colors. I use several different watercolor paint brands simultaneously. Currently I paint with Aquarelle, Grumbacher, Winsor & Newton, Van Gogh, and my personal favorite St. Petersburg. Using a large color palette with different brands creates color combinations that are unique to my work and can’t be replicated. Once the painting process is finished, I switch to inking the piece. I use black India ink in combination with black ink pens including Muji, Faber-Castell, Micron, and Sharpie brands. 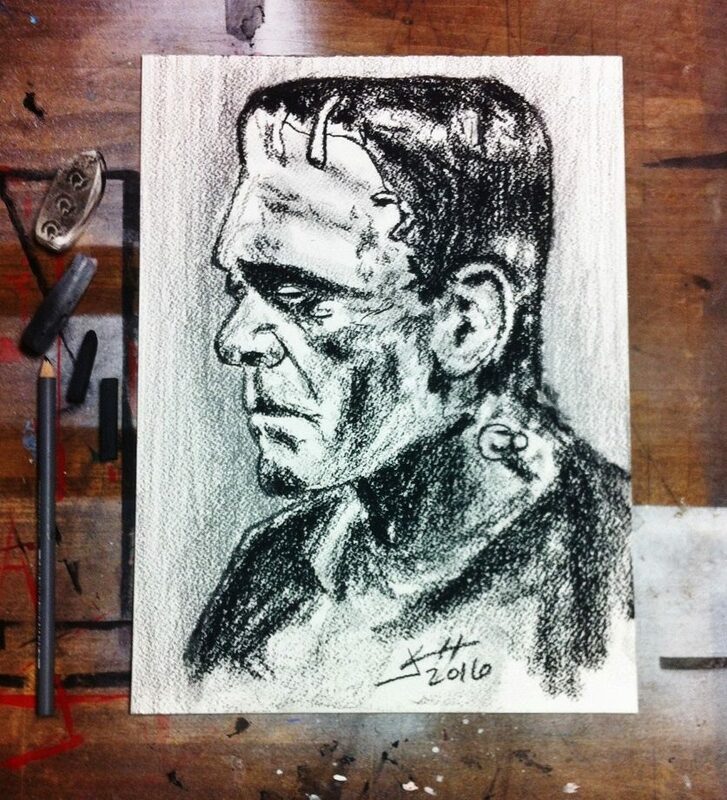 Watercolor and ink is my favorite medium, but I also enjoy working with charcoal. The only time I use computers is when I scan the artwork for making prints (unless lettering is required for a cover or poster). 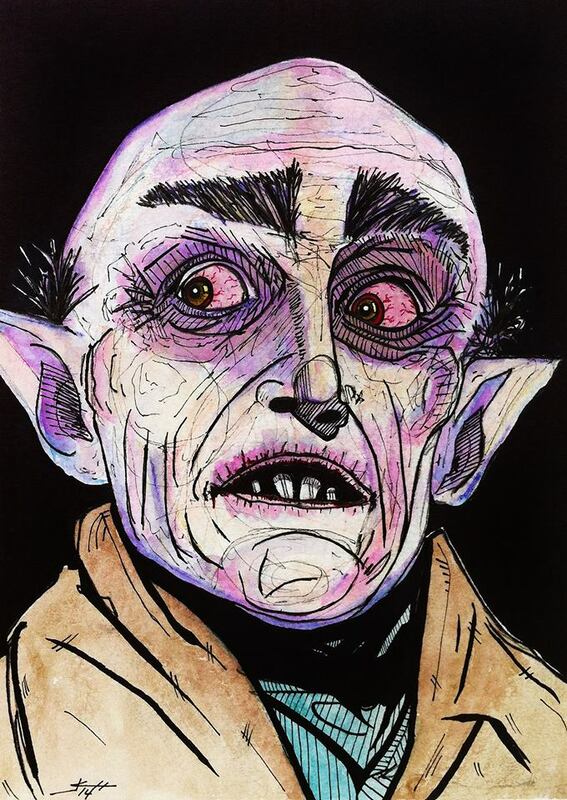 THS: Is your work all Horror related? JC: Much of the work has been Horror Film related the past couple years, but I also do sci-fi, action, and western stuff. I guess you could call it genre related. 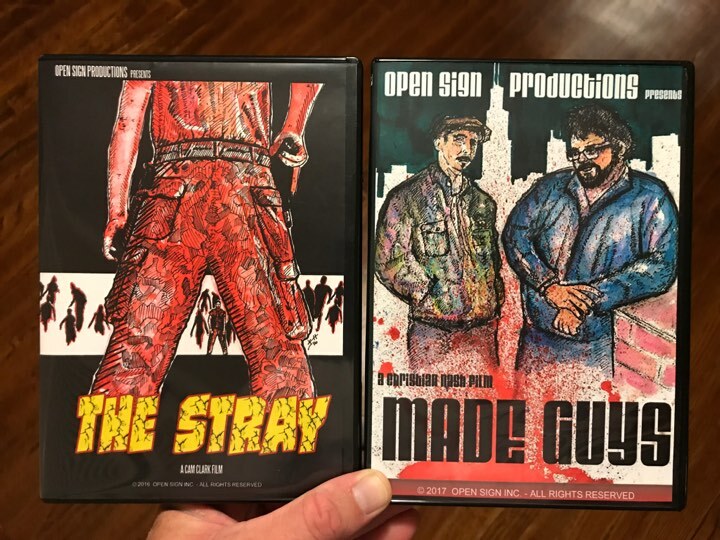 I made artwork for Open Sign Productions films “The Stray” and “Made Guys” which were both films that mixed several genres. 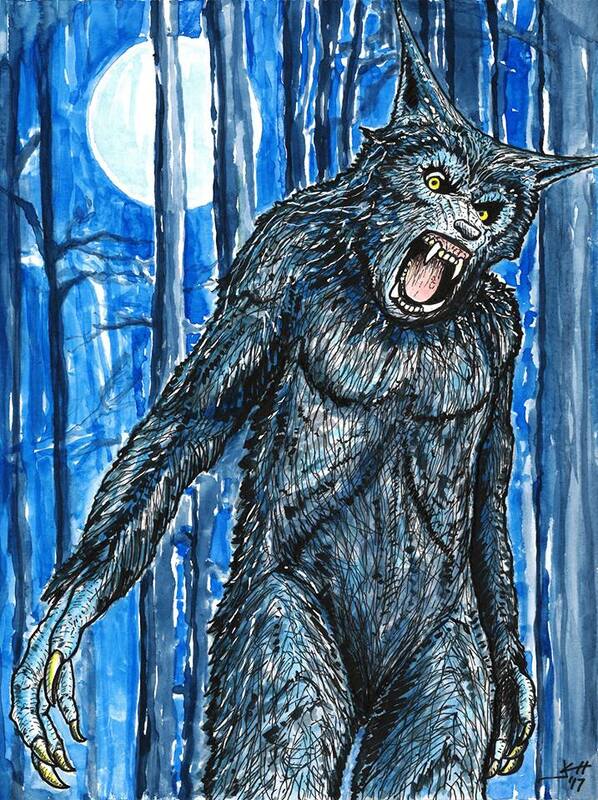 I also do commissions and have painted many portraits, sports figures, musicians, military etc. I do have several original characters that I have painted including a scarecrow that I would like to incorporate into an illustrated book or comic. Building and painting all kinds of model kits is something that I enjoy working on as well. THS: If someone wants something special, do you typically take submissions and what kind of price range are you usually asking? THS: I have to ask, what is your favorite Horror movie? JC: That’s a tough question Ray! 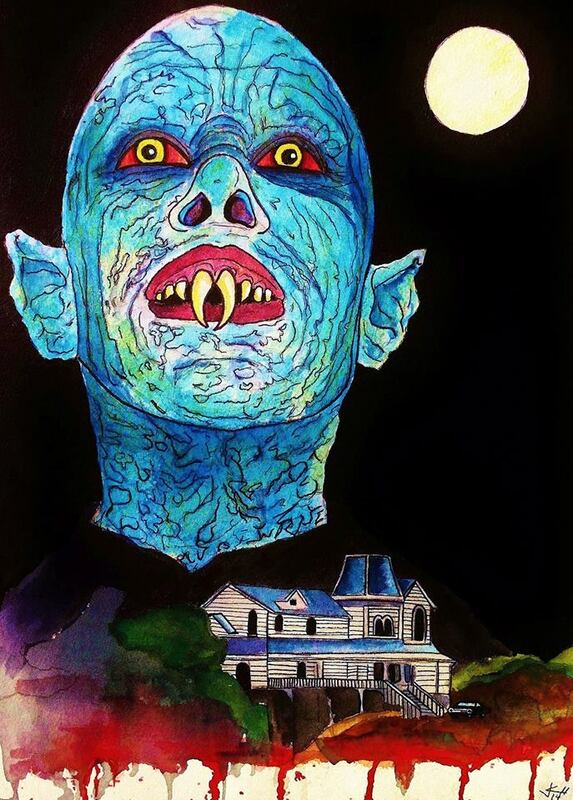 I have so many favorites but if I could only choose one it would be the 1979 made for TV movie adaptation of Stephen King’s Salem’s Lot directed by Tobe Hooper. 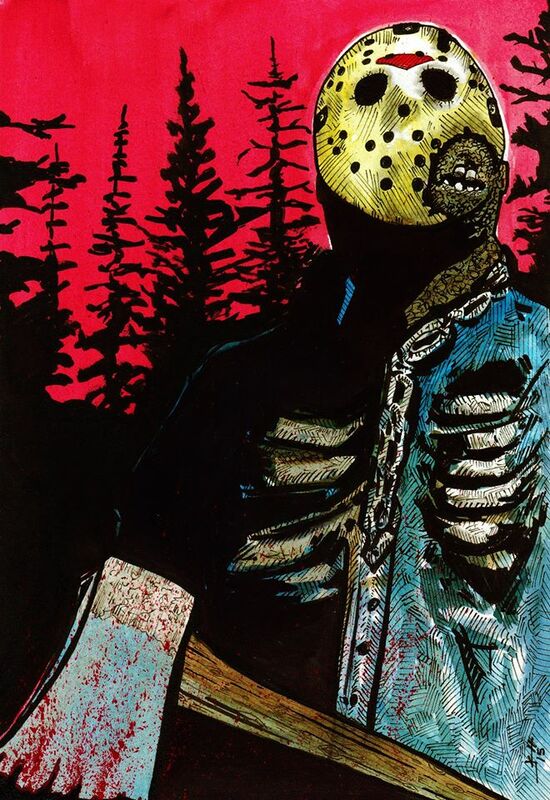 This was another piece that brought me in to the booth, I did purchase this along with the Chripstopher Lee and the Jason Voorhees. THS: Are you going to be at any other conventions this in 2017 or planning ahead for 2018? 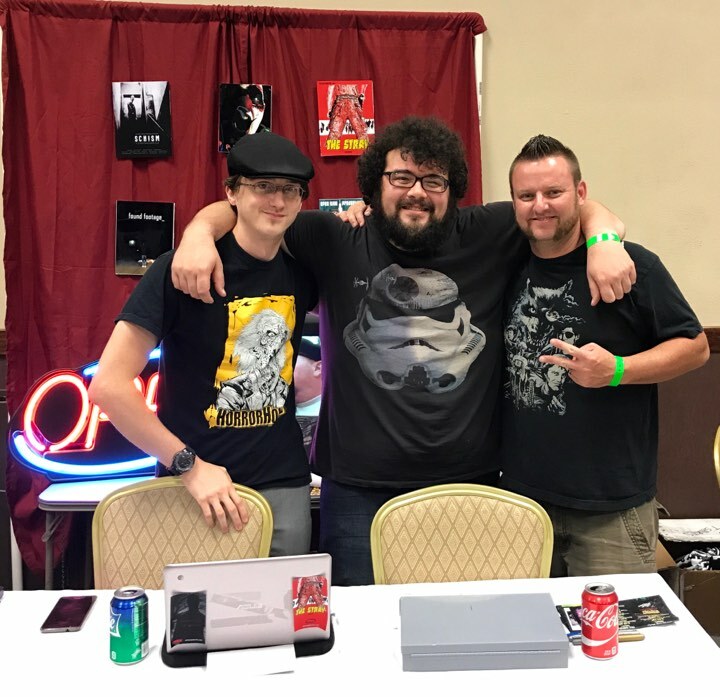 JC: I did Days of the Dead in my hometown of Indianapolis last month and my next appearance will be at HorrorHound Weekend, also in Indy, on September 8,9,10. I will be with the Open Sign Productions booth promoting their upcoming film release titled “Schism”. I will be unveiling the poster art that I have created for the film. Signed DVD’s and limited edition prints will be available at the booth. After that I’ll be spending the next several months creating new work and preparing to make the trip to Burbank, California for Monsterpalooza 2018. It’s been my goal to do this convention for the past 3 years and I finally feel like I am ready. Seriously, this is a great guy doing some very, very cool work. 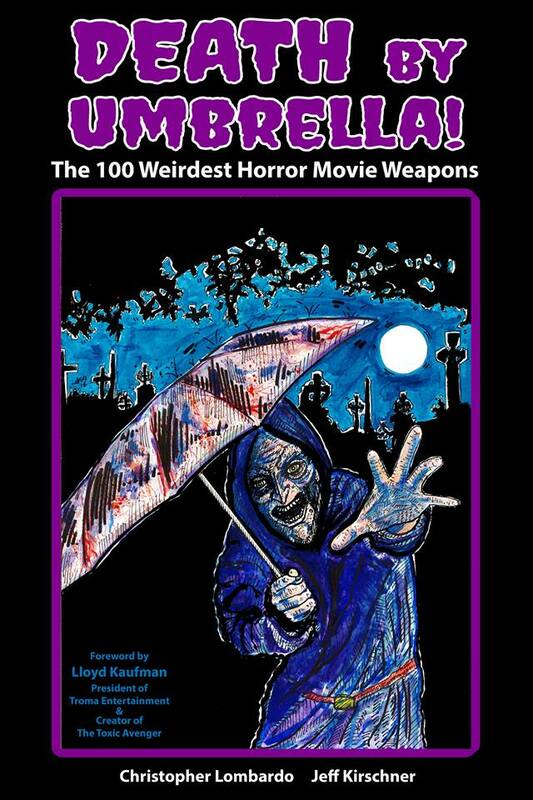 If you’re in town for HorrorHound Weekend Indy, in September. 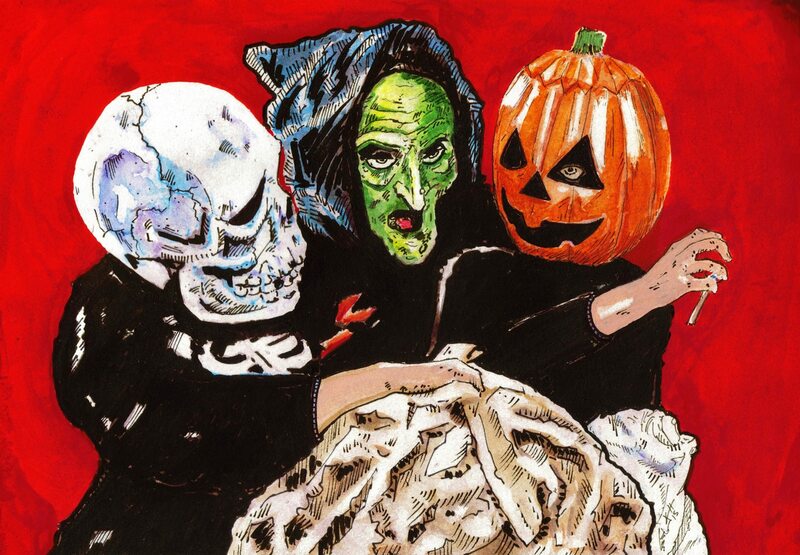 Make sure you stop by and see him, buy a couple of prints, especially this Halloween III: Season of the Witch print, other than the Christopher Lee, it is my favorite. The Chirstopher Lee and Salem’s Lot Barlow, brought me to his booth. If you cannot make it to HorrorHound Weekend, here are the places to find Jack. I plan to see Jack at HorrorHound for sure! Check out so pictures Jack sent to us below!